Iron is a very useful metal used in the modern world. It shapes our building structures and flows in the Earth’s core as a liquid to sustain its geomagnetic field. 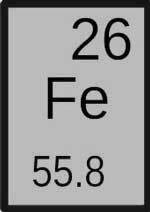 Iron is the 6th most abundant element in the universe. Its nucleus has 26 protons and 30 neutrons, which is surrounded by 26 electrons. Iron is grayish colored shiny and soft metal. It is a conductor of electricity and heat, but not as good as copper and aluminum. Iron can be alloyed with other elements to make it harder, e.g. carbon. It is reactive metal which can easily react with air to form red colored rust. It is a ferromagnetic metal. The largest percentage of iron is used to manufacture steel, which is used to make high strength structures, e.g. building, vehicles, ships, and airplanes etc. Due to good magnetic properties of iron, it is used in the cores of electric transformers, generators, motors. It is used in the construction of buildings and other mechanically strong structures. Iron is one of the abundant metal on the earth. But due to its reactive nature, it can easily get rusted and reacts with other elements to form different compounds. Most iron that is found in the crust is found in the minerals of iron oxide, which are magnetite and hematite. 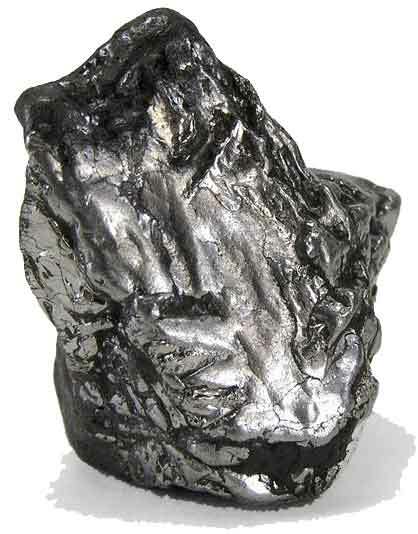 Iron is also found in large percentage in the meteorites that hit the Earth every day from space. The iron age had begun after the bronze age ended. Iron has been known to man from thousands of years ago. People started to make their tools, weapons, and cookware from the iron. The largest iron producing country is China, which supplies around 33% of the total produced iron in the world. All the living things contain Iron transports the oxygen in our body. Our Earth’s liquid core is made of liquid iron and nickel that flow very fast to sustain geomagnetic field that protects us from deadly particles and storms of the Sun. (Read more at layers of Earth). Abdul Wahab, "Iron," in Science4Fun, April 13, 2019, http://science4fun.info/iron/.